How to download this Live Wallpaper? This Live Wallpaper only supported by 600x1024 resolution phone only. Please click here to check your phone resolution before download. For those resolution which are not supported by us, please kindly try out 480x800 Wallpaper Resolution. How to know my phone resolution? Step 1: Press Menu key in Ownskin App, then press help. 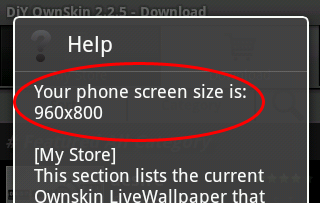 Step 2: The help popup will show your screen size. 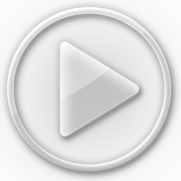 Please download and install the application into your phone. If you faced "Install blocked", please kindly go to Setting > Applications > (Checked) Unknown sources to allow installation of non-market applications. There is a problem with loading the content.